In the summer of 2015, I packed up all my belongings into a storage unit and left NYC for San Francisco. I spent a year contracting as a designer for Apple, where I lived in corporate housing and, consequently, never truly settled in SF. After going a full year in California without establishing roots, or accumulating more things, I decided to leave my career, get rid of everything in my Brooklyn storage unit (aside from my instruments and vinyl collection), and travel indefinitely. By the summer of 2016, I was in Spain with no plans of where I’d go next, or how long my journey would last. I would’ve never expected then to be writing this in Thailand, two years later. Right now I’m working remotely as a freelance graphic designer/art director and a mentor with Designlab. 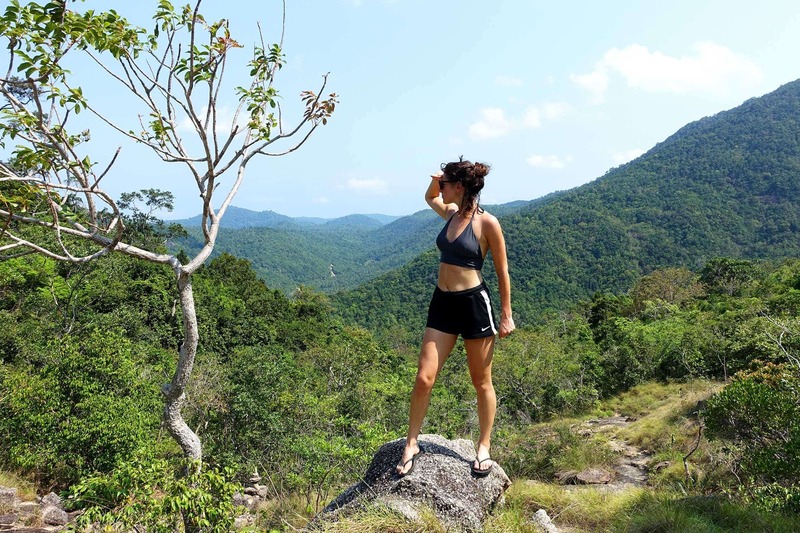 When I set out on my first 9 months of solo travel, I didn’t work on any paid projects. I lived off of savings for nearly a year to not only explore Europe and Asia, but to explore other interests of mine that I either paused for years, or recently discovered. Throughout the months and years of travel, I’ve kept up with a photo-blog called becsploration.com. Photography isn't necessarily a passion, or something I’d claim to be good at, but capturing experiences into visuals or words, feels very rewarding when looking back on the various chapters of life. I created a Medium account last year as well, to house some creative writing pieces that didn’t fit in the blog-space. While I enjoy photography and writing, my strongest passion is song writing, and most recently, music production. 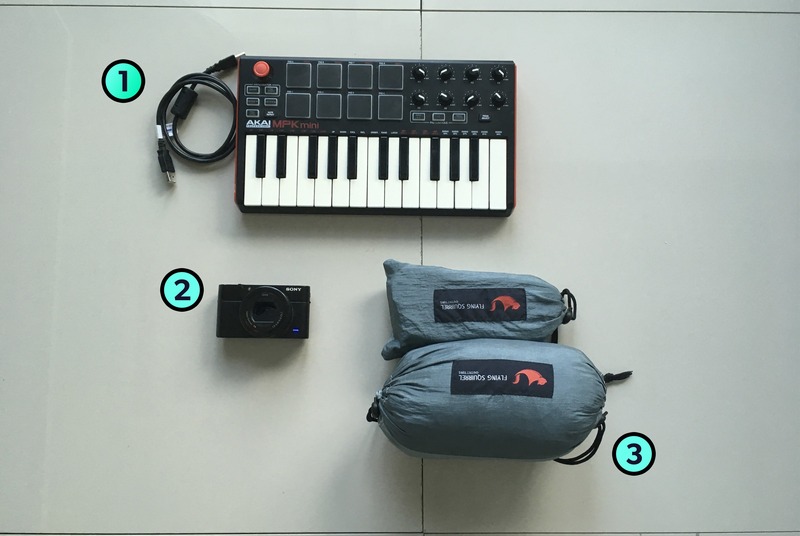 I brought along my small Akai midi controller and a basic Zoom battery-powered mic throughout my 9 months of travel last year with the intention of teaching myself music production. I’ve been writing songs on and off since I was a kid; I put out my first tape at 13 and my first “professional” CD at 17. Since growing up, I've managed to spend less and less time making music. Over the years, it’s felt as if I lost that part of my identity entirely. During my first year of travel, I finally dove into learning some basics of production, but given I was moving around constantly and distracted by all the amazing experiences of traveling, I only managed to produce one song by the end of my time abroad. I was disappointed with myself for not getting further with music, but grateful for getting the most out of long-term solo travel. After diving back into my design career and moving to Berlin last June, I quickly realized the space needed to create was once again lost. By space, I don’t mean physical space. Most musicians don’t record while living out of backpacks and moving apartments/countries way too frequently. By space, I mean space away from the standard pressures of society. I have (hopefully) many more years to build my savings account back up, so why not give myself that space I need to truly invest in this passion of mine I keep putting aside? I left Berlin last winter and returned to Asia, spending most of my time based out of Chiang Mai, Thailand. Living here, I’m able to work a lot less on making money and more on making music. I’m still nomadic, as I’ve been moving around here and there, and am moving back to Berlin next week. These past few months have essentially been a self-created artist residency with some intermittent travel and part-time remote work. I finally invested myself into learning music production in a more serious capacity, and am proud to say I completed and released my first self-produced EP earlier this month. The EP is titled Drawing Circles, and my artist name is Becs. It can be found on Spotify, iTunes, Apple Music, Google Play, Amazon, and a few other random places. Although I’m pretty addicted to the nomad-lifestyle, when I’m back in Berlin, I plan to (try) and stay put. I have a freelance artist visa in Germany, and want to take advantage of having a home-base in central Europe. Given my work is remote, I still plan on traveling often. Eventually I’d like to start performing my music live and maybe in the very distant future, try and plan a tour around Europe or Asia or America. There’s a lot to figure out with building an audience and how to perform mostly electronic music live. With enough time and consistent effort, I’m confident I’ll get there! This one’s easy for me – Berlin! I’m not sure if it counts though given I moved there. The city has so much creativity and character, AND it’s a lot more affordable than most other big European cities. It’s also hugely international, so you can easily get by without speaking fluent German. Germany is also the only country in Europe that offers the freelance artist visa, which opens up all kinds of possibilities. After spending 5 years in New York, I’ve had a hard time finding a city that compares in terms of its creative scene and overall diversity. I think I now prefer Berlin over New York… Of course though, once in a while, I find myself itching to get back to Brooklyn. Akai MPK Mini Midi Controller: This was used to create nearly all the tracks on my latest EP. Song 3 on the EP is the only song on the album that has real guitar and bass tracks, and the rest of the parts (aside from vocals) were created with this super portable and light midi controller. There’s even a small drum pad for creating beats if you prefer that over using keys or loops. Sony RX 100m3 Point and Shoot Camera: My number one travel-item. This camera is awesome – it’s super small and light and takes great quality photos and videos. Everything on becsploration.com was shot with this camera (with the exception of a few photos here and there from friends). Flying Squirrels Outfitters Hammock: I bought this hammock somewhat recently in Asia. I got the 2-person version, but there’s an even smaller 1-person option. This hammock is easy to bring along with you on all kinds of outdoor adventures. I also know the owner of this company personally, and he’s a great guy with an admirable mission to provide sustainable high-wage jobs for skilled seamstresses in impoverished villages in northeast Thailand. I’m still on the hunt for the best noise cancelling earbuds with a well balanced mix of bass and treble. Studio headphones are generally heavy and uncomfortable after long stretches of mixing. Pretty much anyone would tell you to never mix with earbuds, but I bet I’m not the only person who tires of studio headphones. (But I may be one of few people mixing without access to studio speakers 😮). What do you wish there was a travel sized version of? I miss my real instruments, especially my guitars. I know travel-size guitars exist, but they’re just not the same as a full-size acoustic or electric. Last year for most of my 9-months of solo travel, I carried around a small, vintage pair of binoculars I picked up in Porto, Portugal. I had very little space to store extra things, but these binoculars felt perfectly symbolic of the search, you know, the thing we’re all on – the never-ending journey to somewhere or something. Editors Note: These really exist! Check them out here for a good laugh. Take risks and stop fearing consequences. One time in Lipari, an island off the coast of Sicily, I decided to rock climb down a nearly vertical wall at the edge of the island to get to a small private beach that was all too inviting after a long, sweaty hike. I’ve never rock climbed, I had no gear, and I was alone. I managed to make it down to my private beach, but pretty quickly realized getting back up the vertical wall may prove to be a lot harder than climbing down. Instead of worrying, I enjoyed my time in the sea and read my book while sunbathing. Follow Becca's adventures on Instagram!